I have some ideas about the development of religion policy, because during the game, you can research, and later, build some schools and temples, for example, mohist or confucianist temples and schools. Throughout history, in China had been some religious disturbs and policies that banned foreign religions like buddism or nestorian. In my opinion religion is a very important part of the Chinese history, and I think that it must have a place in the game. Some religions that can be added in the game could be Nestorian (Diofisist Christians) or Manacheism, for example. The information you bring is very helpful to me. I agree it would be good to include more interplay of religion and politics. It's something I hope to do as development on the game continues. I've read this stuff a lot. It is interesting. Read the new experience. I want to know how it is. I really do not know what the game is. Actually the religion had much less impact in Chinese history than other civilizations in the world. 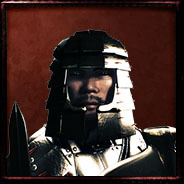 The religion was used for reducing unrest, such functionality has already been implant into the game through the Buddhism. The emperor holds the right to explain god's will since Zhou(yes, the Zhou we see in the game), the highly centralized power prevented the birth of monotheism, you have to wait until the conquer of Genghis Khan to see the Taoism been fully converted from an institution of philosophy to an actual religion, but still the semi-god emperor holds most power. If the emperor was considered a semi-god, wouldn't that make the religious influence more prominent than less though? One thing I'd like to see is more capability to figure out what kind of officer you're going to get when you utilize an officer-bearing Edict or such. For instance, I 'enlisted a Shi' from a intellectual sounding edict, because my capital was filled with angry overworked peasants...and I didn't want to give them a holiday. 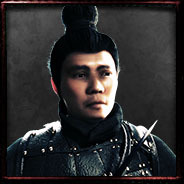 So I figured that enlisting the intellectual official would give me someone with high Ren...but no, it gave me a dude with almost no Ren and instead, half-decent Vigor. I think it would be interesting if the temples and schools could randomly sprout characters without edicts. Especially since in the late stages of the game...there's really not a whole lot of characters sprouting out for me, personally. I wound up with my Shi dying in battle on turn 50, my heir dying of old age around turn 95, and then my leader dying around turn 115. Leaving only a random general to replace me; I assume he only came about because my Shi died and he was the replacement since the "Enlist Shi" edict was still operational. Taoists randomly produced a High Ren character, Legalists produced a high Vigor character, etc. Just a thought for later developments. Having the temples affect characters is an interesting idea. Anyway the whole character system will be getting an upgrade in the next update.